Although it has been out of the Byrne family ownership for some two decades, the Hideout in Kilcullen still retains an iconic status in the generational memory of people across Ireland and abroad, thanks to the publicity flair of the late James J Byrne Jr who established the name and the reputation from the early 1950s. It was the first pub roadhouse in Ireland, with the establishment of the Hideout Grill Bar by Jim Byrne and his wife Monica, offering food throughout the day. Jim and Mon always said it was because they were themselves so tired of hotel food and strict dining times when they travelled through Ireland that they got the idea of a pub-restaurant, a format that today is ubiquitous throughout the country. 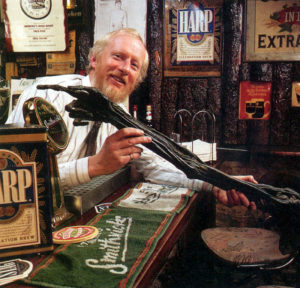 It was the first pub to play legal games with the state liquor legislation and win, when Jim Byrne ‘drove a coach and four’ through the 1960 licensing laws brought in by one Charles J Haughey. The ‘Locker Lounge’ scheme by which this was done achieved fame, or notoriety, as far away as the front page of the Sunday Times of London and even in New York newspapers. At home, it raised both chuckles of appreciation and many glasses of after-hours alcoholic beverage, while the Guards were left legally in the cold outside. But most of all it was the place where people travelling from Kilkenny and further south, and from Dublin going south, always stopped when Kilcullen was still on the main road between the capital and Waterford. This was a reflection of the decades over which it had been the bus stop, an important halt on the journey with time for refreshment and other necessities. It was also to where many on other main roads detoured for a food stop, or simply to say hello to Jim Byrne and enjoy a space and period of relaxation. Jim’s son, the late Des, later carried on the business with his own particular flair, he and his wife Josephine working hard to build on the already solid reputation for good food. 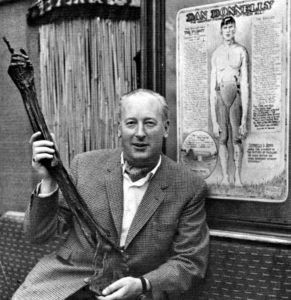 Des’s interest in sports, especially rugby, also brought to it a strong local clientele, which proved very important after Kilcullen was bypassed in 1994. 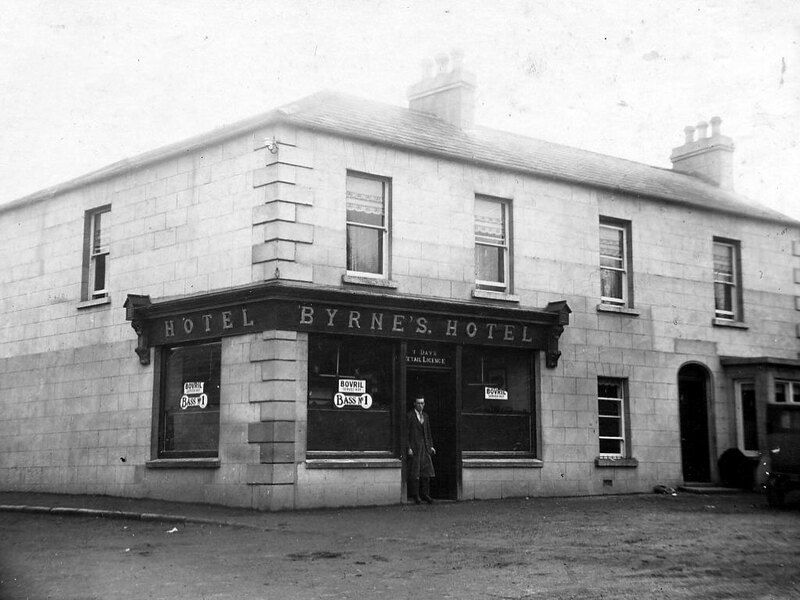 In the late 1990s, Des and Jo decided to retire from the business and it then left the Byrne family, ending an era which had begun in December 1925 when James J Byrne Snr bought what was then Flanagan’s Motor Bar and turned it into Byrne’s Hotel. In 2016 The Hideout was purchased by Jonathan Keogh and reopened at the end of 2017 upon the completion of substantial refurbished works.